The Cobra Security car alarm battery is a replacement for the Cobra G368, G198, 4198, 4138 car alarm modules. Extending the life of your Thatcham car alarm. 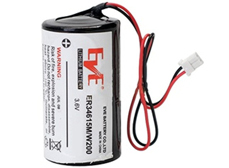 The 7.2V clover-shaped battery pack is available in 250mAh and 320mAh variations to offer the maximum sustained performance in the event of power loss in a break-in. 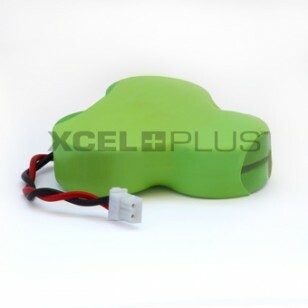 The Cobra XCELPLUS Extended Life model is a high capacity battery backup for the Cat 1 and Cat 2-1 series car immobiliser alarm siren. The Extended Life model is recommended giving more hours of backup from their car alarm and doesn't want to replace the battery for the next 5 years. The Cobra XCELPLUS Standard models are also suitable, but doesn't last as long in the event of a break-in, and may require replacing within 3 years. The Cobra XCELPLUS Extended Life and Standard model battery are compatible with the Cobra G368, G198, 4198, 4138 and 4138HF. 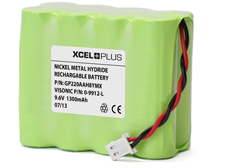 The XCELPLUS Extended Life is the highest capacity battery available on the market at 320mAh and unlike consumer batteries, it's produced using the highest quality industrial, nickel-metal hydride (NiMH) batteries from Varta. XCELPLUS are the only producer of Cobra batteries which include a PTC resettable fuse, used to protect against over-current faults or reverse polarity insertion. All batteries can leak acid when they're depleted for long periods if gone unchecked. PTC resettable fuses prevent further damage to the control panel from short-circuit faults caused by battery acid. 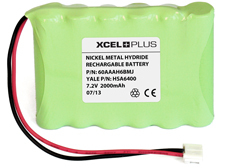 As of 2014 all batteries sold by XCELPLUS now feature this vital protection.